Regardless of whether asbestos inspections and asbestos testing are required by law for your property, getting these services before beginning a renovation or demolition project on a structure built before 1978 is wise. You may need to get inspections and testing before buying a new property, or before converting a property from private to public use. You may want to test for asbestos for your own peace of mind, or to ensure that a planned renovation doesn’t disturb any asbestos-containing materials and contaminate your property. Of course, if testing or inspections reveal asbestos on your property, we can immediately move forward with other asbestos services San Diego County CA to address the contamination and make your property safe. Only professionals should handle or disturb asbestos-containing materials because asbestos fibers are very dangerous when inhaled. 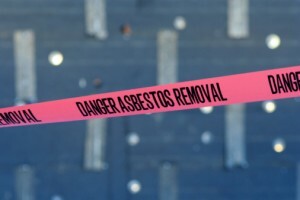 Getting professional asbestos services San Diego County CA helps ensure that proper safety and cleanup protocols are followed, so you can enjoy a clean, safe environment once the asbestos-containing materials have been removed.